Summary: A great broker for Russian traders, and a strong platform. Today I’m analyzing a brokerage that’s been serving the binary options marketplace since 2014, Olymp Trade. The creators of this brokerage continue to upgrade and improve their platform over time, in ways that make it more accessible and more lucrative for their clients. They also claim to “develop original trading strategies and teach traders how to use them intelligently an open webinars.” So, let’s get into the review, and see what they are all about. The brokerages owned and operated by Smartex International Ltd., they are located at 103 Sham Peng Tong Plaza, Victoria, Mahe, Seychelles. In order to get in touch with support, traders can email [email protected] or phone +357 22 007136 (Cyprus). I have just started my tests with Olymp Trade, and I’m happy with what I’ve seen so far. Just as the creators of the brokerage frequently mentioned, their trading platform is quite seamless. Not only is the user interface easy to deal with, but the platform is also accessible with applications available for free on both Google play and the Apple App Store. According to their websites, they’ve had over 5 million application downloads, making this one of the most popular binary options brokers on the market. The broker is currently regulated by the international financial commission or FinaCom. If traders ever have any issues with the brokerage, they can contact this regulatory body for assistance in resolving all claims. This makes Olymp one of the safer options in the binary market. As is the case with most brokers, just about every asset and expiry time is available. 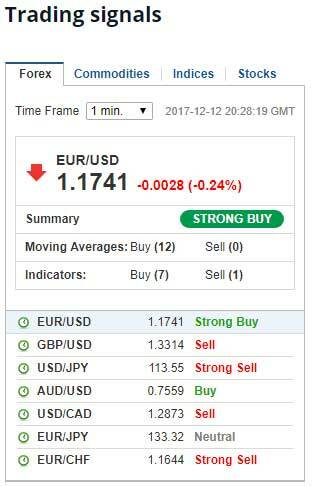 According to the statistics section of the website, the Olymp Trade broker averages over 14,000 traders on their platform at all times when the market is open. With this many clients, they’ve paid out over $6 million in just the past month. While we are provided these numbers on the website, there really isn’t any substantial evidence to prove either one of these claims. Essentially, we just have to believe that these are the numbers. If I had to guess, I would think that the payout number is a little high, and potentially exaggerated. This is common with brokers, and something I’ve seen in recent reviews of Exoptions, and PerfecTrades. One of the main flaws of most brokerages, comes from their periphery elements. By that, I mean the sections of the website outside of the platform, like the education center, the news section, the analytics page among many others. I would have to say that the Olymp Trade education center is one of the best that I’ve come across. It may not be thorough, with seven strategies, seven indicators and eight webinars but I like the general approach. If you click on one of the indicators, or strategies you will be taken to another page that simulates a conversation, which simplifies the explanation and makes it very easy to understand. They may not get into great detail, but I do believe this is a very helpful resource, which is saying a lot considering the education centers that I’ve seen in the past. I still prefer websites like Binary Options Edge when it comes to education though. The analytics section of the Olymp Trade website is less impressive. There is an economic calendar which is provided by investing.com, a trading signals widget which is provided by investing.com, and a very short explanation on volatility and trading specific hours. With the majority of this part of the website being pre-developed widgets, they can certainly do more to advance their cause here. From my initial tests, and what I’ve seen from the Olymp Trade platform, I have a positive feeling about this brokerage. Before recommending them to the Binary Today community I would like to trade with them for a few more months. In the meantime, if you are looking for broker, I’m actively using Binary Cent right now. So, check out my review and see how my trading is currently going with them. Thank you for stopping by, and feel free to leave a comment or question below the article now.